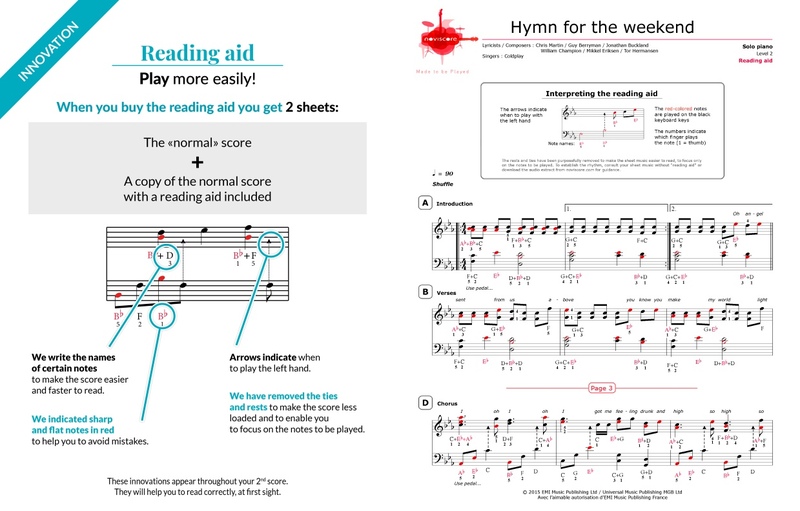 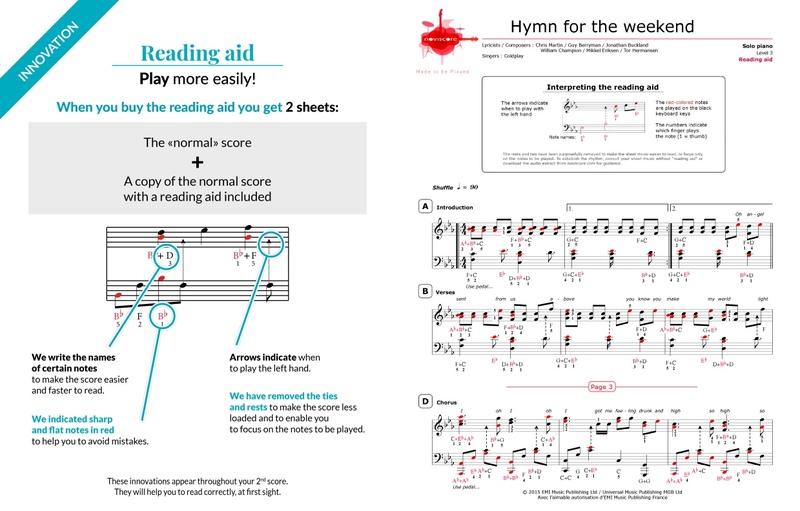 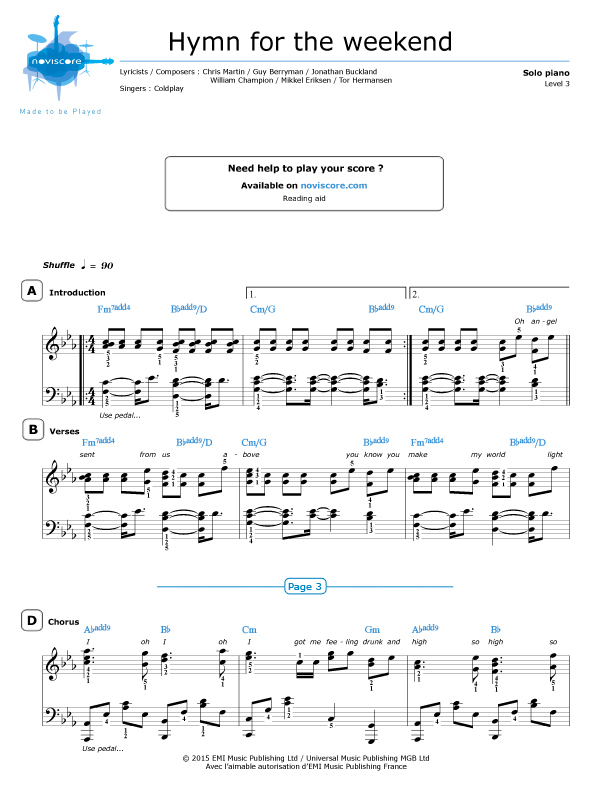 Try our piano sheet music for Hymn for the Weekend by Coldplay! 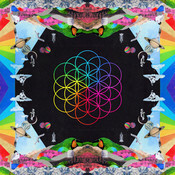 From their album "A Head Full of Dreams" this pop/rock gem features vocals from Beyoncé who appears in the video filmed in various towns in India. 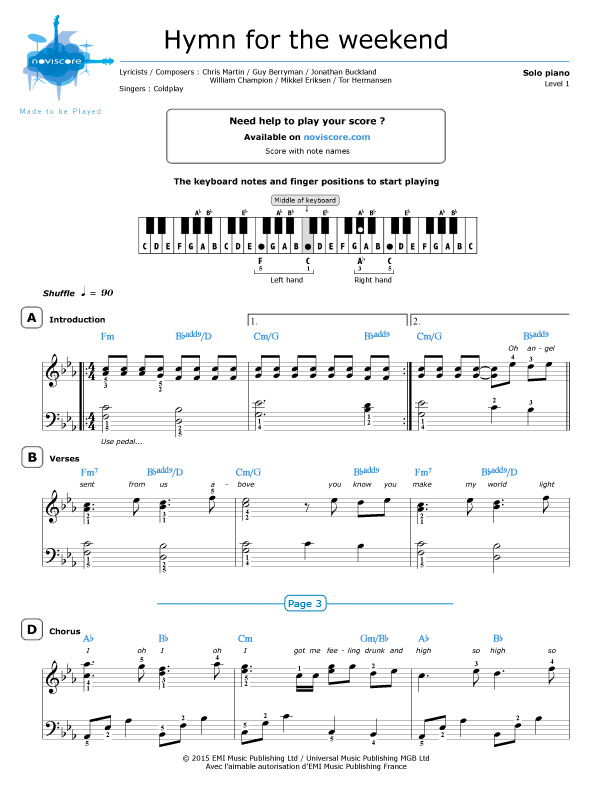 Available in 3 different levels of difficulty, ranging from beginner to expert, for piano solo. If you would rather sing, we suggest our piano accompaniment version level 2. 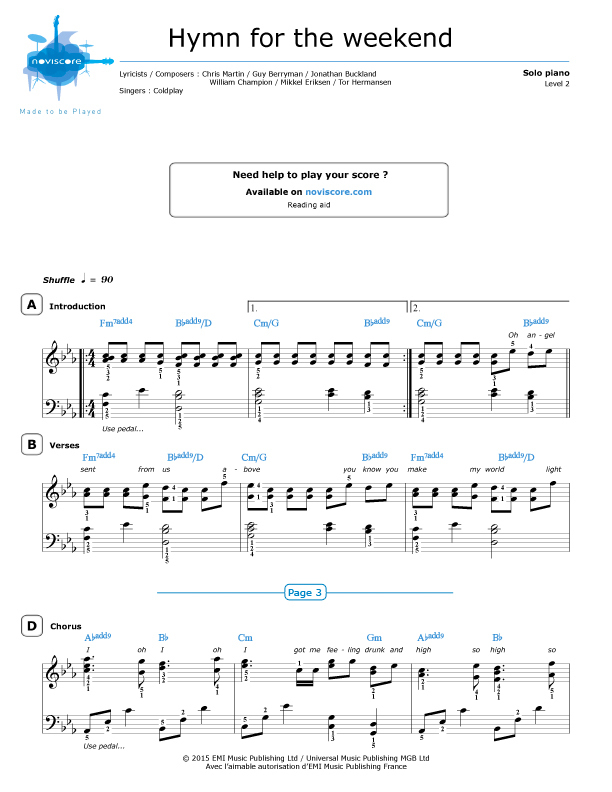 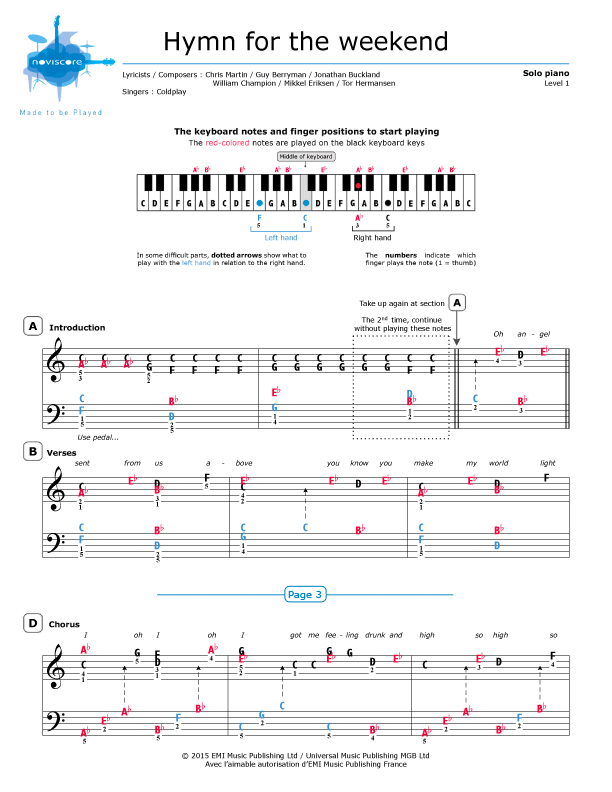 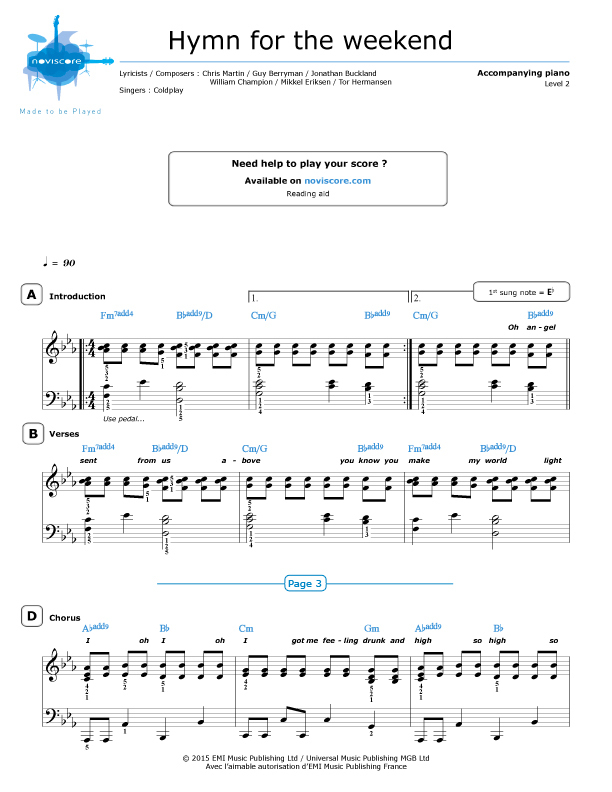 Discover other sheet music by Coldplay!